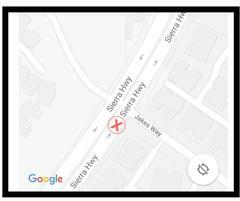 Traffic Office investigators at Santa Clarita Valley Sheriff's Station are investigating a two-car traffic collision that occurred on the Friday night following Thanksgiving, at the intersection of Jakes Way and Sierra Highway, in Canyon Country. The collision, which left one driver with significant injuries, occured just past 11:00 p.m. on November 23, 2018. It is under investigation whether drug or alcohol impairment was a factor contributing to the collision.The two vehicles involved are described to be a blue 2015 Mitsubishi Lancer sedan and a white 1992 Ford Explorer SUV. Any witnesses to the collision are asked to please contact Detective Mark Cramer at 661-255-1121 extension 5111.